Q11: How does my leadership impact my school's brand identity? The power of corporate branding is all around us. Many of us only purchase certain products and shop in certain stores because we are loyal to specific brands, most often due to their perceived superiority. Accrued perceptions likewise create a branding identity for your school. Your school's brand is its identity within the building and without. As a school community, you must be in control of your brand identity or the outside community will define it for you based on how they perceive it, which may be counterproductive and inconsistent with the brand you are trying to project. Your school's brand will be as attractive as your leadership is strong, clear, and effective. If you strive for excellence at all times while ensuring a supportive environment for all, both your leadership identity and your school's brand will be the envy of others. It is incumbent upon you to discuss with staff regularly how you wish for your school to be seen by the community and, most important, to work consciously and consistently at achieving this end. Does your school's brand inspire loyalty? How does your leadership impact your school's brand? Does your school's brand accurately reflect the climate, culture, and performance at your school? Does your staff understand the significance of your school's brand? Have you and your staff helped to mold the brand, or has it evolved haphazardly without your influence? Does your school's brand matter to you? Q12: How does my leadership impact my school's mission and vision? Put simply, a school's mission refers to what the school is about, and its vision to where the school is going. Your school's mission is the foundation upon which it stands. A school that is serious about its mission ensures that the mission statement is known to all—perhaps even recited by students and staff every morning. The same is true of a school's vision statement. As the leader of the school, you must see to it that both mission and vision statements are posted throughout the building, including in all classrooms. 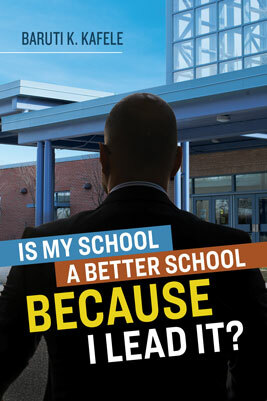 True leadership means ensuring that the school is "walking" in its mission and vision daily. Everything in the school should be scrutinized through the dual lens of mission and vision, including (and most especially) student achievement scores. Mission and vision statements should be seen as living documents that drive the work of the school. How does your leadership impact your school's mission and vision? Do you prioritize internalization of values related to the mission and vision? Are your school's mission and vision known to the community at large? Do they drive the work in your building? Do students and staff "walk" in your mission and vision? Is your mission and vision recited by your school community daily? Q13: How does my leadership impact my school's climate and culture? When I worked as a principal, I had a quiet ritual that I would engage in every year. On the nights before, of, and following graduation, I would enter the school's empty auditorium, sit where the graduates sat, and reflect deeply on the previous year as well as on the one to come. On the first two nights, foremost on my mind was whether we had provided our graduates with an adequate overall environment for learning that would allow them to succeed in the future. On the third night, I would turn my thoughts to the incoming students, pondering whether our school's climate and culture were sufficiently welcoming while considering what adjustments would need to be made going into the start of the next school year. Starting with that third night, I was obsessed with what students would see, hear, feel, and experience throughout their first day of the new school year and beyond. This ritual was important to me, helping bring closure to the current school year while also building a bridge to the next one. A school's climate can be likened to a collective mood and its culture to a shared lifestyle. In both cases, modeling begins at the top. Creating a climate and a culture that inspires and motivates students needs to be a priority. Another strategy I employed as a principal was twofold: a daily morning message, coupled with ongoing monthly meetings with students in small groups divided by grade and gender. I used these meetings to discuss anything and everything, but always with a view toward developing the climate and culture in a positive direction. What do your students see, hear, feel, and experience as they walk into your building every morning, and how do they act when they're there? How do their actions affect the school's mood? What do you, as the school's leader, do to ensure that the mood is positive, vibrant, and focused on academic excellence? Q14: How does my leadership impact the social-emotional needs of my students? I have always chosen to work in urban schools with students of color from high-poverty environments, as I feel these schools can benefit the most from my specific skillset while also offering me the most professional fulfillment. Too often, the home experiences of students from these kinds of schools are unimaginable to educators and staff. This disconnect has profound implications for school leadership, because these same children walk through your front doors every day bringing their pain along with them. Whenever I visit a school, I look for evidence that the principal is focused on meeting students' social-emotional needs. This can be something as simple as greeting students, preferably by name, as they arrive on campus, or delivering an uplifting and empowering message over the PA every morning. Are the social-emotional needs of your students being met in your school? Are they a priority under your leadership? Are structures in place to ensure students' emotional safety and security? What programs are in place for your students to help meet students' needs? Two programs that I have really liked over the years are peer counseling and restorative practices that enable students to be deeply engaged with one another in a variety of different situations. Q15: How does my leadership impact my school's academic performance? As a football fan, it's always interesting to observe the excitement around the Super Bowl every year. It reminds me of classroom visits of some school administrators, actually. Let me explain. The football season for the most part attracts true football fans—people who both know and enjoy the game. They know the "Xs and the Os" of football. In other words, they know plays, they know offenses, and they know defenses. When a play goes awry, they understand why. When a play works, they also understand why. They know the players and their positions. They know the coaches and their assignments. They know penalties, and they know a bad call by a referee when they see one. In other words, they know football and they know the game inside and out. The Super Bowl, on the other hand, in addition to attracting hard-core football fans, attracts casual fans and nonfans—those who don't really follow football and know little to nothing about the details of the game. But because it is Super Bowl time, which brings with it media intrigue and hype, many nonfans watch the game. Because they aren't "true" fans of the game, they don't really know what they are watching. They just want to see the execution of a good play—or maybe a good hit, a nice pass, or a long run for a score. Therefore, they are easily dazzled and impressed in a way that the "true" fan would not be. You might be asking, "What's this got to do with leadership impact on academic performance?" Everything! Just as there are these two types of fans, there are also two types of school leaders who visit classrooms to observe instruction. One type of leader thoroughly understands good pedagogy. This leader goes into the classroom with his or her own philosophy, beliefs, opinions, and ideas about how children learn and how they correlate with the instruction being observed. This leader understands that children learn differently and is therefore looking closely to see how the teacher's instructional strategies are benefiting all of the learners as opposed to only a few. In other words, this leader is checking that the teacher is implementing equitable strategies that ensure that all of the students have an opportunity to learn. The other type of leader, on the other hand, lacks a philosophy, beliefs, opinions, and ideas about how children learn. Like the nonfan referenced above, this leader is therefore easily dazzled and impressed by what appears to look like good instruction. In other words, although the teaching being observed "looks good," this leader isn't bringing a frame of reference of what works best for all of the learners in the classroom. Instead, via the motions and actions of the teacher, he or she has resolved that the instruction being observed is good instruction for all. This leader's leadership, therefore, adversely impacts the school's academic performance (because his or her actions are comparable to that of the nonfan—who doesn't really understand the game). School leaders must be prepared to engage as instructional leaders who fully understand instruction and work toward ultimately impacting the academic performance of their schools. Copyright © 2018 by ASCD. All rights reserved. No part of this publication—including the drawings, graphs, illustrations, or chapters, except for brief quotations in critical reviews or articles—may be reproduced or transmitted in any form or by any means, electronic or mechanical, including photocopy, recording, or any information storage and retrieval system, without permission from ASCD.